New to the Yakezie Challenge! 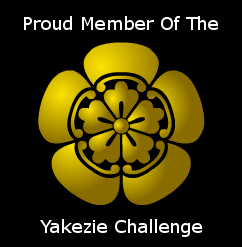 I am excited to announce that fifighter.com has signed up for the Yakezie Challenge! Yakezie’s motto is “selflessly helping others”. I have only been on the forums for about a week, and must say, it has already been a wonderful experience. The members there are truly first class, offering great tips and unparalleled support. Welcome to the challenge! Hang on! It’s a fun ride. Great to meet you here and in the Yakezie Forum. Welcome! 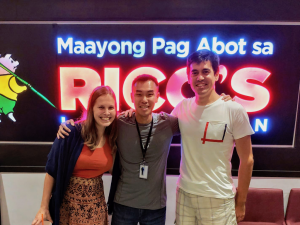 Nice to meet you Rich! I see you’re also new to Yakezie. A warm welcome to you as well! Welcome to the party, FI! My partner OG and I started the challenge at the beginning of December. We’ve met a ton of great people who are willing to help whenever we need a hand. I’d like to also extend that hand…if you need help, feel free and shoot me a note. I don’t know what the hell I’m doing, but I’m happy to share stories about the walls we’ve hit. If there was one thing I’d wished someone told me when I started that I didn’t know until later, it’s this: don’t pay too much attention to your Alexa ranking. That’ll come down with the territory. Write good content, build a community and be a good team player with other Yakezies (and other bloggers in general). The rest takes care of itself. Thanks for extending such hospitality, I appreciate it! Feel free to contact me as well (I still need to setup a contact page :). That’s also great advice that can also be applied in other aspects of life. It’s always nice to move up in rankings, but I agree that the primary focus should be on creating quality content. Sort of like how senior co-workers will tell new hires not to worry about the salary when first starting out. Instead, work hard, build strong relationships, and become an asset to the company. Keep active in the forums, comment/network and your ranking will drop in no time. I know because I joined in March and mine has dropped quite a bit. Have fun in the challenge! Thanks! Glad to hear your site is having success, especially so early in the game. Best of luck to you! Welcome to the challenge and good luck! Keep interacting and meeting members, and you’ll get there in no time! Good luck FI Fighter, see you on the Yakezie forum! Thanks Kurt! Will see you over at Yakezie! Good for you for jumping in right away! I rally need to get signed up – I procrastinate something awful. Good luck with the challenge! Nice work FI Fighter, sure you’ve become a massive blog superstar and looking forward to following your rise to this over the last 4 and a bit years through your archive!